Hokuriku Shinkansen, direct access to Kanazawa, Nagano and Toyama from Tokyo. Posted on December 28, 2014 July 25, 2015 Categories Joetsu, Nagano and Hokuriku, Tokyo, Ueno, Kanazawa, Toyama, Wakura-Onsen, Fukui, Nagano, Matsumoto, Hakuba, Mimami-Otari, Iida, Kobuchizawa, Komoro, Takayama, Kanazawa and ShirakawagoTags Gran Class, Iiyama, Itoigawa, Joetsu, Kurobe, Shinkansen, Takaoka, Toyama, hokuriku, kanazawa, nagano288 Comments on Hokuriku Shinkansen, direct access to Kanazawa, Nagano and Toyama from Tokyo. This Shinkansen lines is currently called “Nagano Shinkansen”. On March 14. 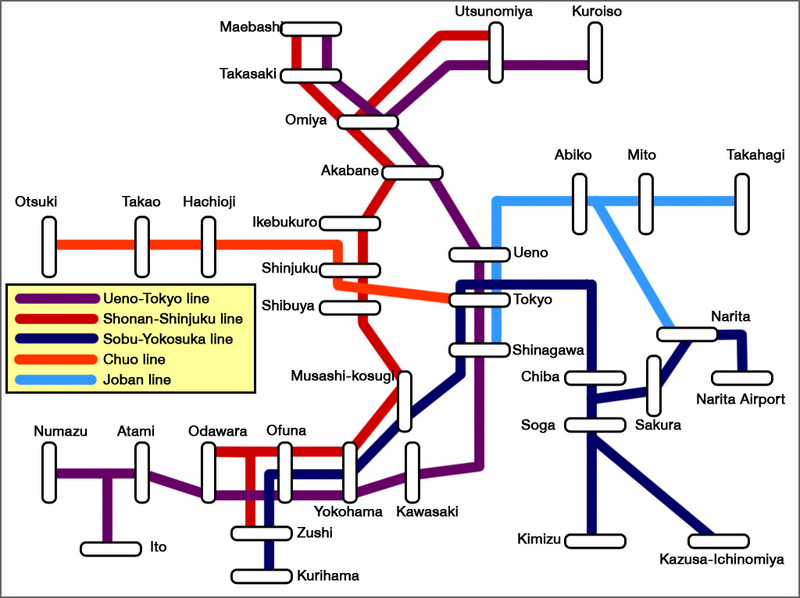 2015, this Shinkansen lines will be extended to Kanazawa and will be called official name “Hokuriku Shinkansen”. This Shinkansen will offer us much faster transport mode than current train services. So this Shinknansen line is covered by Japan Rail Pass fully and JR East Pass covers between Tokyo and Joetsu-Myoko station. It does not open yet. But some of you have already started to make an itinerary for next spring. I would like to show you the information about this Shinkansen service with you. 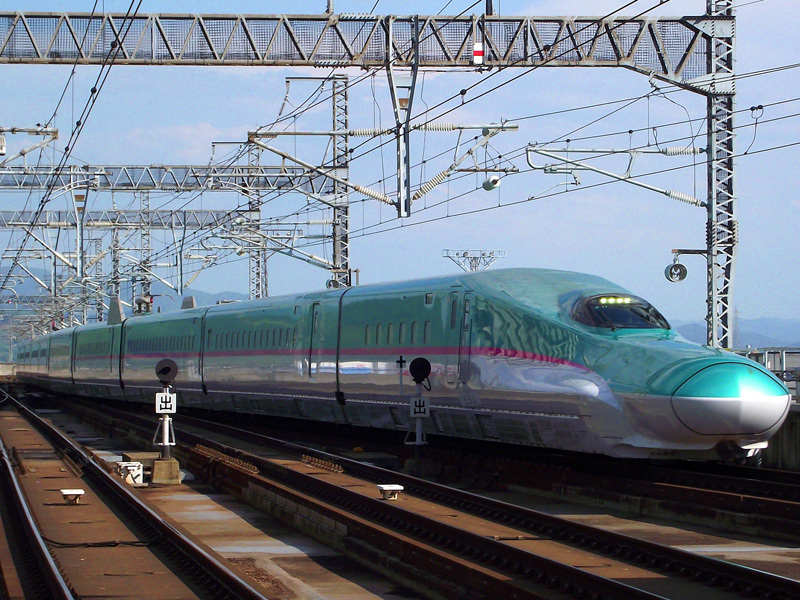 Continue reading Hokuriku Shinkansen, direct access to Kanazawa, Nagano and Toyama from Tokyo. 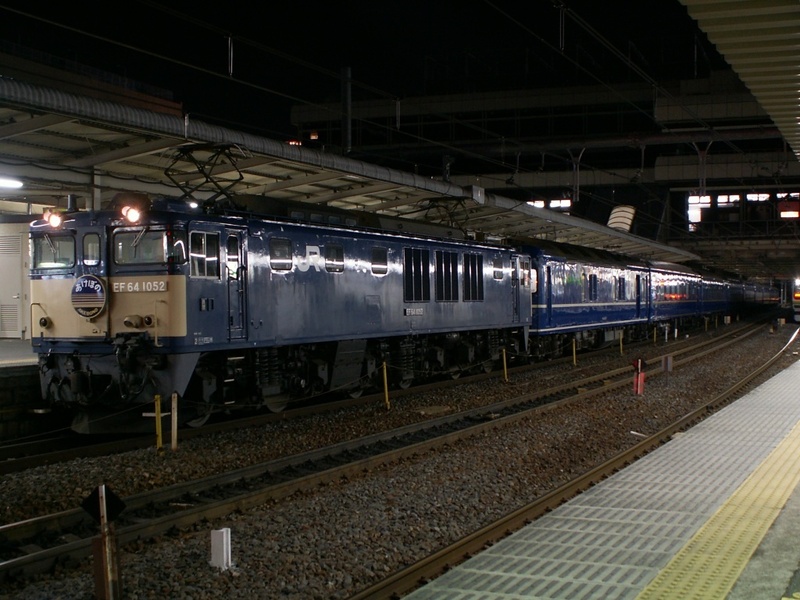 Moonlight Echigo is operated by old type express train 183 series. Moonlight Echigo (ムーンライトえちご) is the overnight rapid service train that is operated between Shinjuku (新宿) and Niigata (新潟). This train used to be a scheduled train. But it was changed to a seasonal train. It is usually operated in same season as Moonlight Nagara, such as spring break (two weeks from late March to early April), summer break (late July to the end of August) and Christmas holidays. These periods are the seasons when “Seisyun 18 ticket” is sold. Anyone can buy this ticket. You can ride any local train throughout Japan for 5 days at 11500 yen. This train can be used by this ticket. So it is always busy. 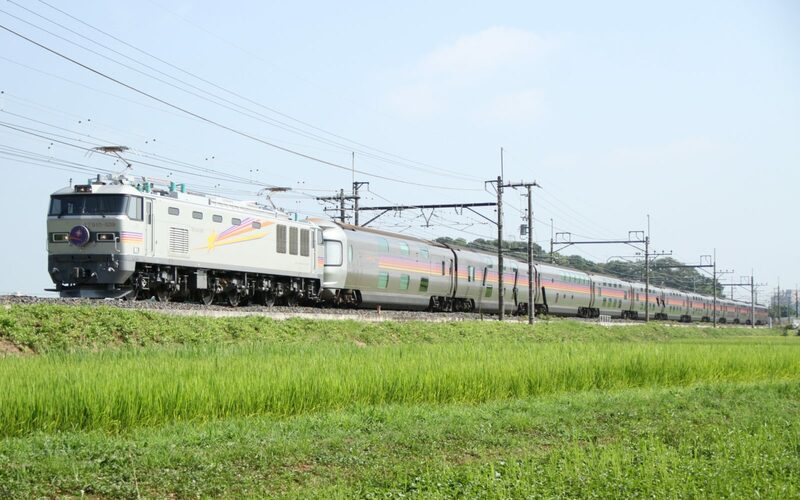 E657 series is one of the newest fleets and is used for Limited Express Hitachi and Tokiwa. Limited Express Hitachi (ひたち) and Tokiwa (ときわ) are operated mostly between Shinagawa, Tokyo, Ueno and Katsuta, Iwaki via Mito on Joban line. 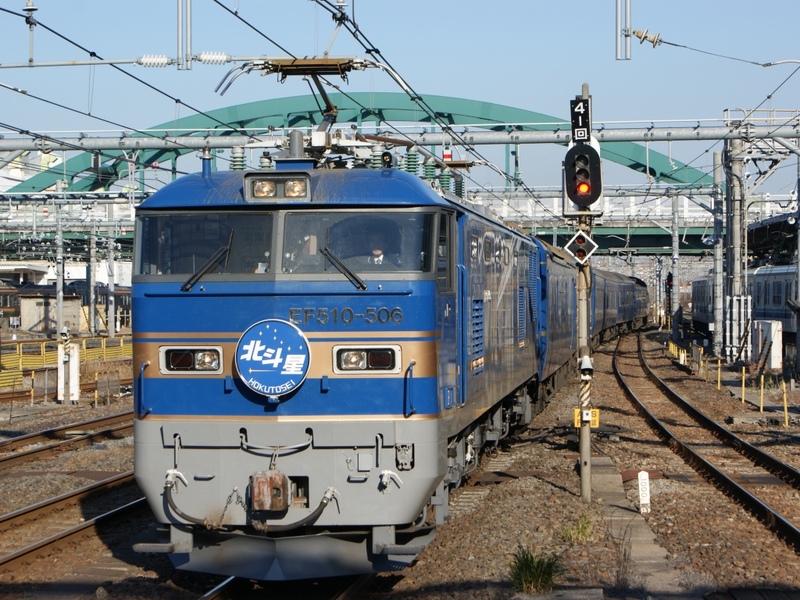 These trains were operated as Super Hitachi and Fresh Hitachi from Ueno station before March 13, 2015. After that, these trains depart from Shinagawa station via Tokyo station. It is much more convenient to get on this train from Tokyo now. These trains connect most of cities along the coast side in Ibaragi and southern part of Fukushima. If you travel to Mito, Iwaki, Yumoto Hot Springs resort, this train gives you directly transfer from Tokyo, Shinagawa and Ueno. This train has been discontinued in March 2015. Limited Express Ayame (あやめ) is operated between Tokyo (東京) and Choshi (銚子), Kashima-Jingu (鹿島神宮). Choshi is well know as home of soy sauce and fishing port. Kashima-Jingu is one of the most famous shrine in Japan. Limited Express Shiosai. Access to Choshi from Tokyo. Posted on November 28, 2012 December 1, 2018 Categories Limited Express, Narita Airport, Chiba, Choshi, Kashima-Jingu, Sakura, Naruto, TokyoTags Choshi, Fishing port, Inubosaki, Naruto, Sakura, Soy sauceLeave a comment on Limited Express Shiosai. Access to Choshi from Tokyo. Limited Express Shiosai (しおさい) is operated between Tokyo (東京) and Choshi (銚子), Naruto (成東), Sakura (佐倉). Choshi is located at the mouth of Tone river. This city is very well know as home of soy sauce. And also Choshi is one of the biggest fishing port. There are lots of fresh seafood, like sardines, bonito, and tuna. Let’s see this trains’ route, schedule and accommodations. Continue reading Limited Express Shiosai. Access to Choshi from Tokyo. Kusatsu (草津) is operated between Ueno (上野) and Naganohara-Kusatsuguchi (長野原草津口) and Manza-Kazawaguchi (万座・鹿沢口). Naganohara-Kusatsuguchi station is the nearest station to one of most famous hot springs resort, Kusatsu. JR Bus Kanto operates the shuttle bus between this station and Kusatsu Onsen. E5 series was introduced for Tohoku Shinkansen in this past March. This is the first fleet that has Glan Class seat and it became very popular topic. This class is higher class than Green class. And it is still very hard to get the ticket. Finally I can you the images of all class and facility in this fleet. *Since March 2012, this train has not been operated. Even though JR East has not announced officially anything about this train, this train seemed to be discontinued. Not (能登) is the overnight express train that is operated between Ueno (上野) and Kanazawa (金沢). This train used to be a scheduled train. But it was changed to a seasonal train in Mar, 2010. It is usually operated on every Friday and in peak season, such as spring holidays (late April to early May), Obon hoidays (mid August) and Christmas holidays. This train was operated on Saturday before Mar 2011. But JR cut down the operation days because they tried to make vehicle occupancy higher. 185 series still run as limited express train Odoriko. This fleet is used for rapid Moonlight Nagara too. Moonlight Nagara (ムーンライトながら) is the overnight rapid service train that is operated between Tokyo and Ogaki (大垣). This train is operated as the seasonal train. It is usually operated in spring break (two weeks from late March to early April), summer break (late July to the end of August) and Christmas to New Year holidays. These periods are the seasons when “Seishun 18 ticket” is sold. This ticket covers any rapid and local train’s non reserved seat throughout Japan for 5 days at 11,850 yen. This train can be used by this ticket with additional charge for reserved seat fare. Therefore this train runs for busy period only and it is very hard to book. This train is fully covered by Japan Rail Pass. But online reservation is not available for overseas visitor and ticket is on sale one month prior to departure date. It is very hard to book and not realistic to put this train in your plan. Alternatives of Overnight train Cassiopeia and Hokutosei, in case that you cannot make a reservation. Posted on August 16, 2011 August 2, 2015 Categories Sapporo, New Chitose Airport, Hakodate, Shin-Hakodate-Hokuto, Aomori, Shin-Aomori, Hirosaki, Tokyo, UenoTags Akebono, Cassiopeia, Hakucho, Hamanasu, Hayabusa, Hayate, Hokuto, Hokutosei, New chitose airport, Sapporo4 Comments on Alternatives of Overnight train Cassiopeia and Hokutosei, in case that you cannot make a reservation. Both Cassiopeia and Hokutosei very popular. Many tourists have a plan to take one of these trains. However these overnight trains cannot be reserved online. The only way to reserve it from outside of Japan is calling Odekake net 078-341-7903 in Japanese and you have to pick up your ticket in JR West, Shikoku or Kyushu stations. You cannot pick up it in other areas, like Tokyo. Otherwise You need to be the reservation window at the station in Japan. Ticket is started to sell one month prior to the departure date. That means it may be sold out when you arrive in Japan. So you must have a back up plan when you try to make a reservation after arrival. I tell you several options for the case that you cannot make Cassiopeia or Hokutosei. Continue reading Alternatives of Overnight train Cassiopeia and Hokutosei, in case that you cannot make a reservation. All line of Tohoku Shinkansen will be restored soon. Of course the fastest train “Hayabusa” will be operated too. Now I show you the article about comparison Hayabusa and Hayate on Tohoku Shinkansen. Cassiopeia is most popular overnight train in Japan. *This train was discontinued in March 2016. This train was discontinued on March 13, 2015.